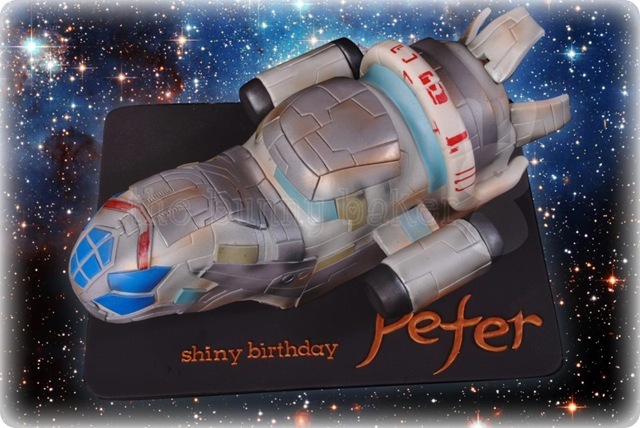 We’re wrapping up Firefly Week by bringing you the shinest cakes in the ‘verse. 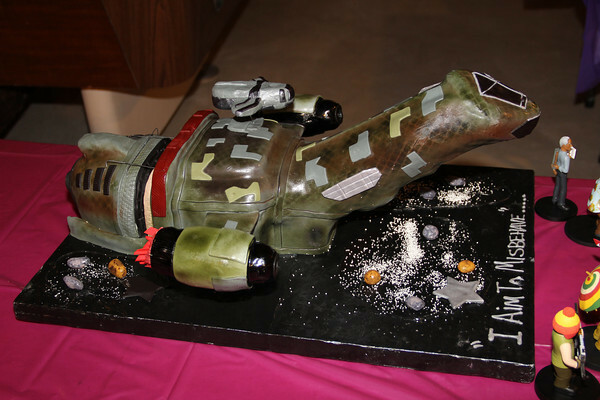 Lots of people make Serenity cakes, but only Pinkbunny surrounded theirs with the decapitated heads of the entire ship’s crew neatly mounted on cupcakes. Nice job, DeviantArtist Sephira Al Maya! I like making the cake itself look like the planet’s atmosphere. 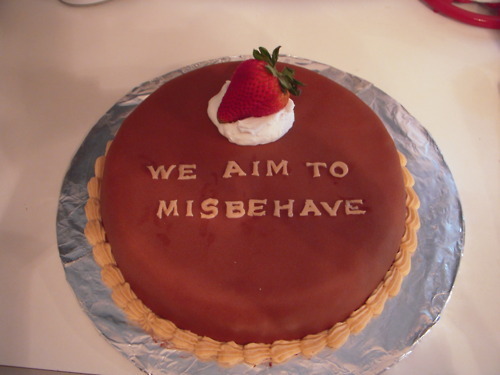 Now pull a Crazy Ivan and get that cake in my mouth. 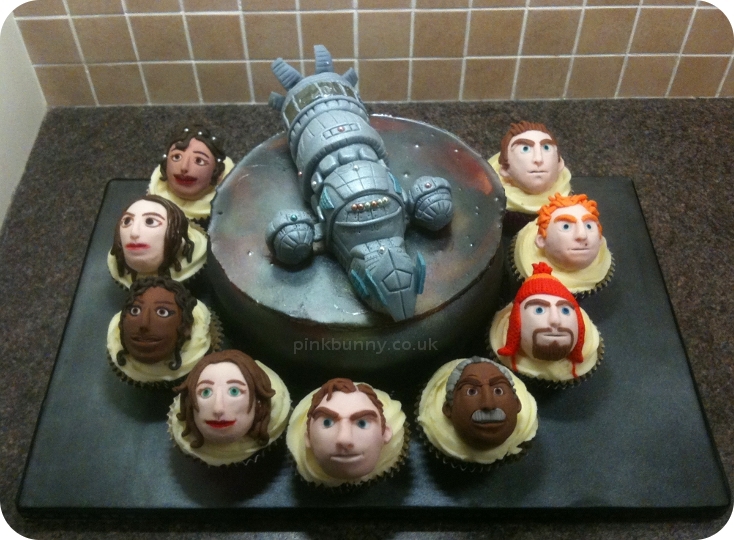 I found this well intentioned mashup of Serenity and a sleepy dinosaur over on Cake Central. From the right angle, it looks like an evil overlord decided to mate their cyborg cat with a bumblebee. 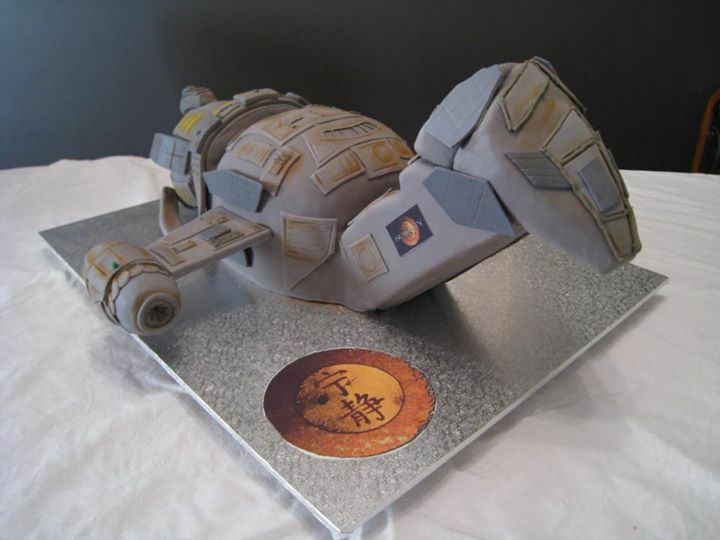 Meanwhile, in Australia, Sydney Cakes made a neat greyscale adaptation of Serenity. Three guesses at the secret message written in Chinese. 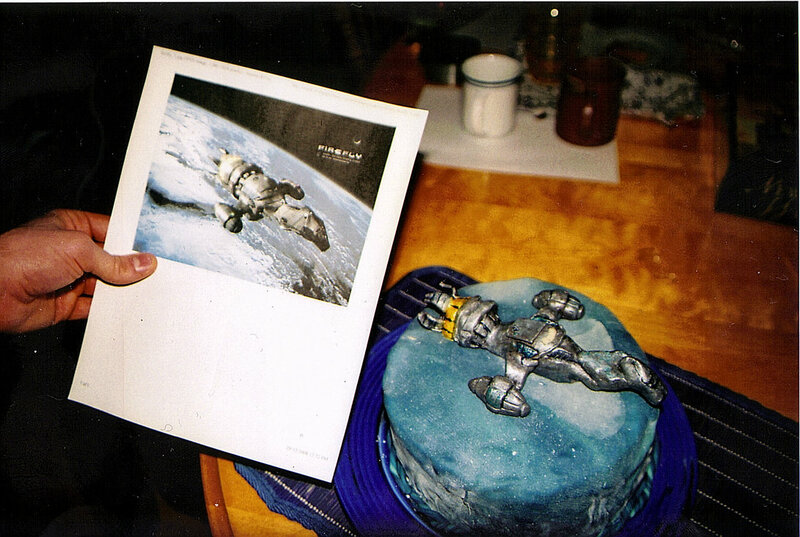 Nerdalicious brought us this camo colored Serenity cake surrounded by fondant sculptures of the crew after their tragic encounter with a growth ray. 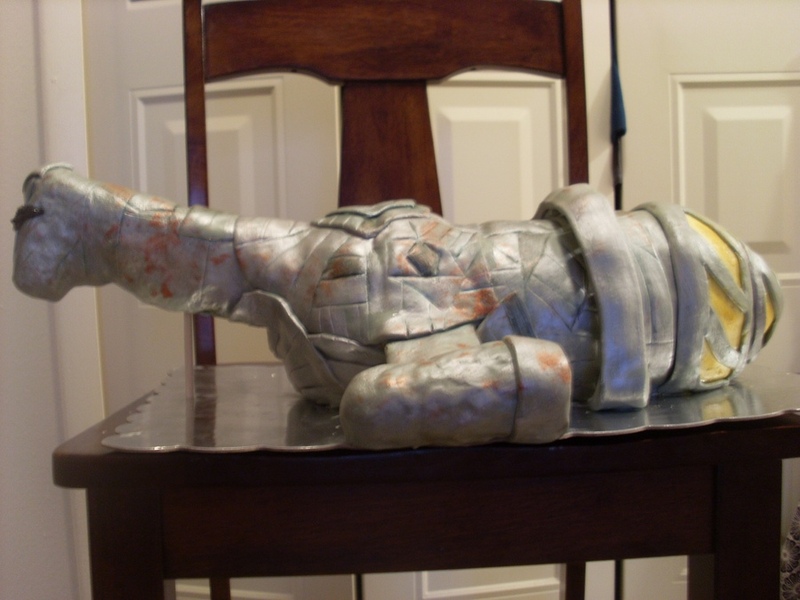 I want to see a giant fondant Wash stomp nearby cakes into submission. 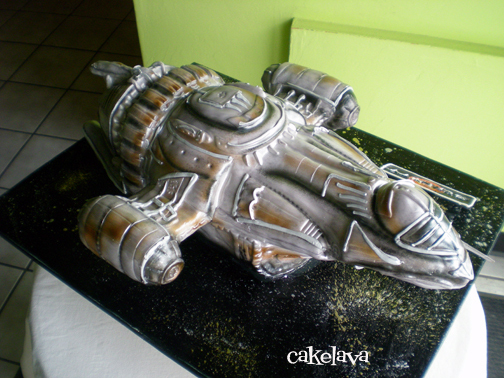 CakeLava brought us this version of Serenity after it was refurbished by Cylons. Between the Pages found Peter’s extra shiny birthday cake. Try to spot the subtle photoshoppery. 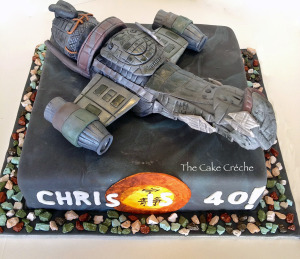 I want The Cake Creche to make my next birthday cake. That’s an admirable level of attention to detail. 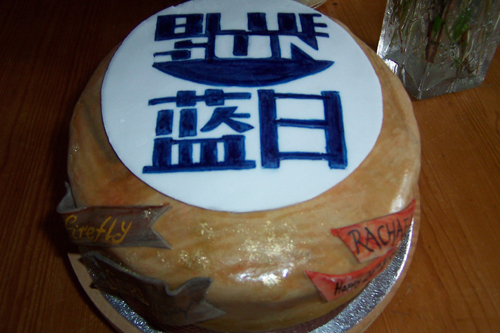 BringItSucka’s minimalist cake wins for best use of simplicity. The good folks at Out Nerd Me donated a gorgeous Firefly poster to the lair. 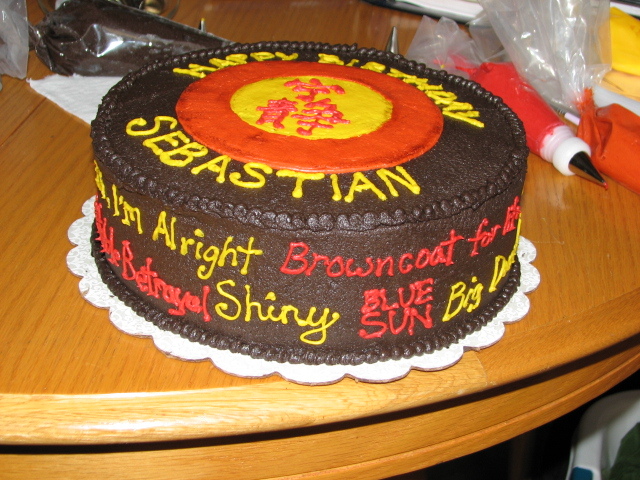 This Browncoat Inspired Gorgeousness can be yours! To win, simply like our Facebook page and post your favorite recipe to your own wall during Firefly Week. Make sure to include @KitchenOverlord in the status so we’ll be notified you posted a recipe. One random commenter will win the poster.